John James Jenkins, age 81, of New Windsor, died Friday, January 25, 2019 at his home after an extended illness. Born February 28, 1937 near Marston, he was the son of the late William Schley Jenkins Sr. and Muriel Marie Franklin Jenkins. 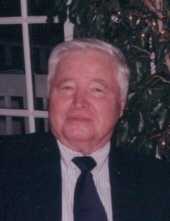 He was the husband of Barbara Lau Jenkins, his wife of 61 years.John attended New Windsor High School and graduated from Westminster High School in 1956. He was employed for 30 years as an inspector with the state of Maryland roads and bridges and also farmed on the family farm. He attended Sams Creek Church of the Brethren and enjoyed bowling, hunting and riding horses.In addition to his wife he is survived by children, Robyne Lentz and husband Stewart of New Windsor; John J. Jenkins Jr. and wife Mary of Littlestown, PA and Kristen Kerney and husband Bryan of New Windsor; 6 grandchildren, Stewart Lentz III and wife Haley, Benjamin Jenkins, Bryn, Alexandra, Reagan and Ciera Kerney; and numerous nieces and nephews. He was predeceased by daughter Lisa Jenkins in 1968; 3 sisters, Ruth Cook, Bertha Grimm and Gladys Coles and 4 brothers, William Jr., Nathan, Daniel and Gene Jenkins.A funeral service will be held at 11:00 a.m. Monday, January 28 at Sams Creek Church of the Brethren, 2736 Marston Rd., New Windsor, with Rev. Paul N. Leatherman Jr., church pastor, officiating. Interment will follow in Sams Creek Cemetery. There will be no visitation at the funeral home.In lieu of flowers memorial contributions may be made to the Sams Creek Church of the Brethren at the above address. To send flowers or a remembrance gift to the family of John James Jenkins, please visit our Tribute Store. "Email Address" would like to share the life celebration of John James Jenkins. Click on the "link" to go to share a favorite memory or leave a condolence message for the family.